Here at The Natural Sleep Store, we are always talking about how important it is to dress your natural and organic mattress with high-quality, organic bedding. We have a great selection of bedding, from mattress pads to comforters, and each piece plays a part in creating a healthy, comfortable sleeping environment. In my opinion, besides having a great pillow, one of the more important pieces of bedding is a wonderful set of sheets. Close to the skin, soft is priority because nothing can ruin an otherwise comfortable, healthy night’s sleep like a set of rough, scratchy sheets! 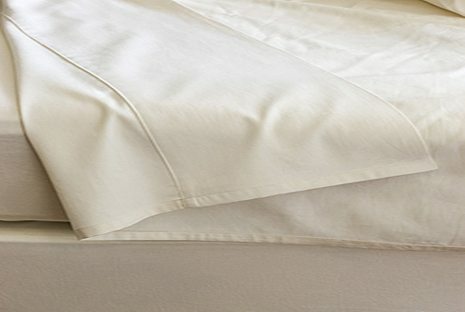 A great choice for sheets for the summer and fall months is the Organic Cotton Percale Sheets from Coyuchi. They are crisp and cool, and are perfect for adding a little extra comfort for those warm nights. The 220-thread count percale is smooth, so it feels nice to the touch. It’s also durable, so it holds up with repeated washing, and has the added benefit of getting softer after each wash as well. Wondering about the difference between percale and sateen, or how much of an impact thread count has on feel? Read Andy’s two-part blog on Organic Cotton Fabric for all of the details! Win these sheets in this months giveaway. Choose your size! A value up to $278. No purchase necessary to win. Giveaway ends August 31st. Anthony B. of Danville KY won this giveaway! Congrats!